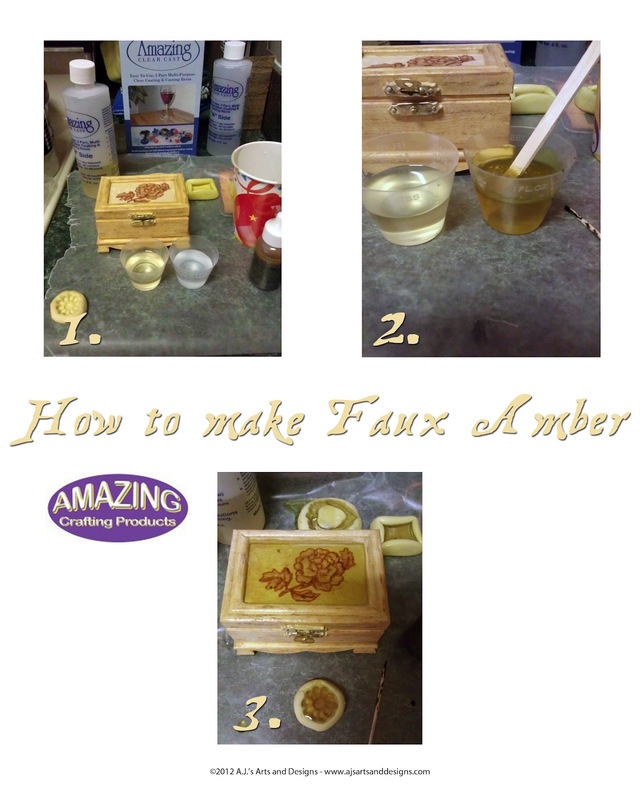 Faux Amber – Amazing Crafting Products Design Team | Who Are You Calling Crafty? My last post I talked about how I love our local library because of all the amazing How-To books you can find. The book I found was called “The Art of Resin Jewelry” by Sherri Haab, let me just state I need to add this book to my vast how-to collection. The faux Amber technique was taken from the book and it worked amazingly. 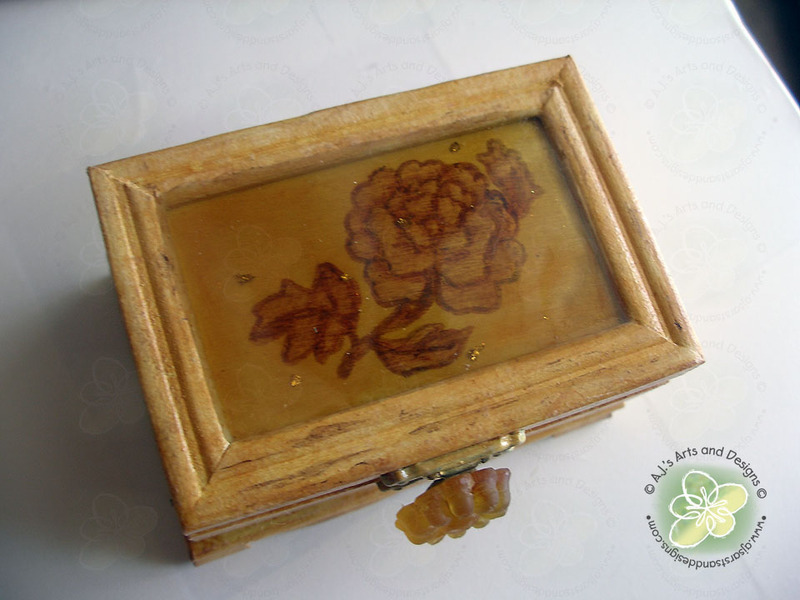 The box was a wooden box that I painted to look like Birds Eye Maple, the flower I colored with Bic Mark-its before adding the resin. 2. Mix equal parts of Part A and Part B of the Clear Cast Resin. Dip toothpick into yellow dye swirl around, dip another toothpick into brown swirl around and dip a toothpick into caucasian swirl around. 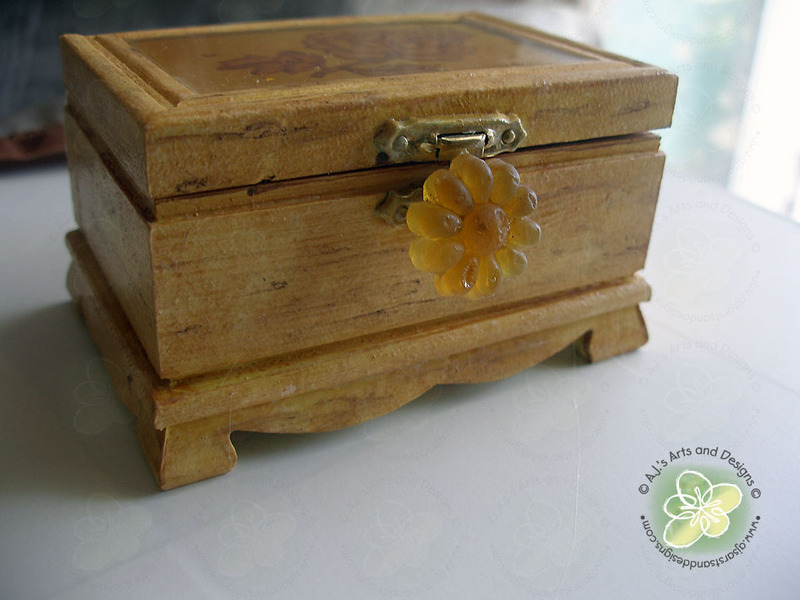 Since I own several pieces of amber jewelry I matched the color of the resin to my jewelry. Cut small flakes of foil and add to part A before mixing the two parts together. Once the foil has been added to part A, dump both Part A and Part B into a paper cup and mix completely. 3. Pour resin into molds or cut out of the box. Allow to cure for 24-48 hours before handling. Line bottom of the box with felt (I chose and amber color). 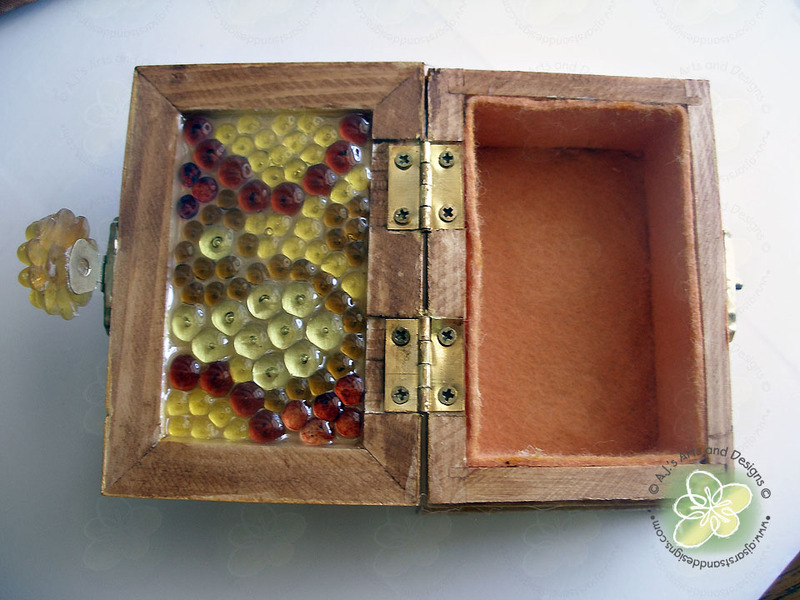 I added dew drops to the inside of the box and mixed more clear cast resin to cement the dew drops into place. I allowed the inside to dry for 24-48 hours.